Never mind the date on the calendar; it’s truly summer when summer squash are bursting out all over. Whether you grow your own or depend on your local farmers, summer squash is in season! Luckily it is very versatile and I never get tired of eating it. We usually go for something simple with summer squash – roasted or grilled slices tossed in a little olive oil with salt and pepper. This time I went a little fancier and decided on a goat cheese and sun-dried tomato stuffing, spiced up with a little chimichurri sauce I picked up at the farmer’s market. I added some gluten free bread crumbs to add some texture. The squash were a hit with grilled steak! If you don’t happen to have chimichurri sauce in your refrigerator, you can use this recipe to make your own. Also any other type of pesto would work. Here are a couple of my favorites: Garlic Scape and Cilantro Pesto, Classic Pesto (Marcella Hazan). I like to have pesto around at all times; it’s not only great as a pasta sauce, but it’s an easy way to quickly add a burst of flavor to vegetables and grilled meats. Add pesto to soft mild cheese for a tasty cheese spread, or use it as a pizza topping instead of tomato sauce. The list could go on and on…but that’s enough about pesto. Let’s get back to those stuffed squash! For the bread crumbs, I spun a couple slices of lightly-toasted gluten free bread in the food processor with a glug of olive oil. I used yellow squash for this recipe, but you could also use most any variety of summer squash you have available (zucchini, 8-ball, patty pan). Slice the squash in half, length-wise. Use a spoon to scoop out the seedy pulp of the squash to make a squash “boat”; discard pulp. In a small bowl, mix the goat cheese with the sun-dried tomatoes and pesto. Taste and adjust seasoning. Lightly coat the squash pieces with olive oil and place on the baking sheet. Sprinkle with salt. 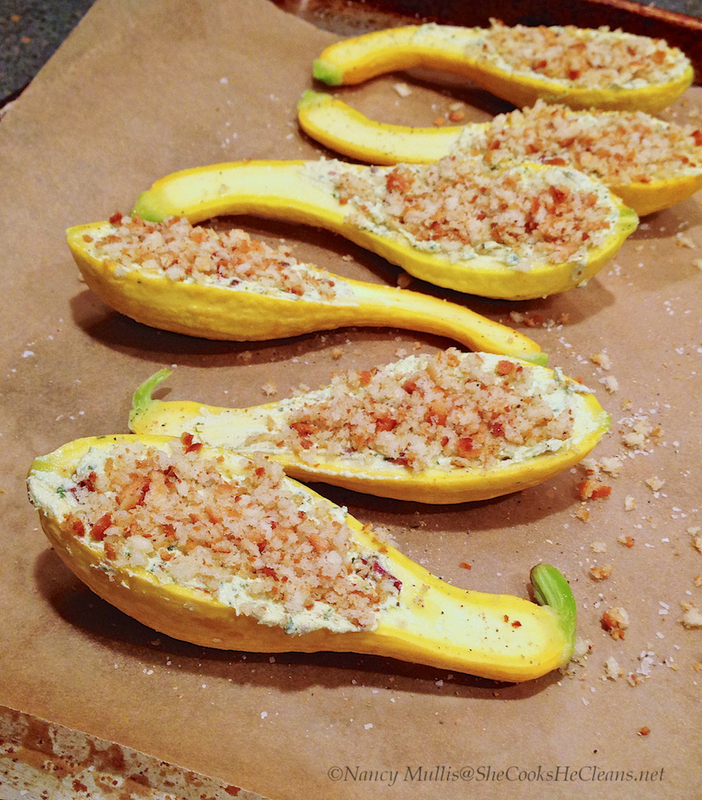 Divide the goat cheese mixture among the squash boats. Gently press bread crumbs onto the cheese. Bake at 350 for 35-45 minutes, or until the squash are tender and the bread crumbs are browned. How about some kickin’ country ladies? First up, Nikki Lane with All Or Nothin’ . The second release from Lane finds her with Black Keys leader Dan Auerbach producing, and it’s a gem. From the defiant “You Can’t Talk To Me Like That” and the salacious “Sleep With A Stranger”, Nikki Lane is a bit country and a bit rock, and it goes down like honey. 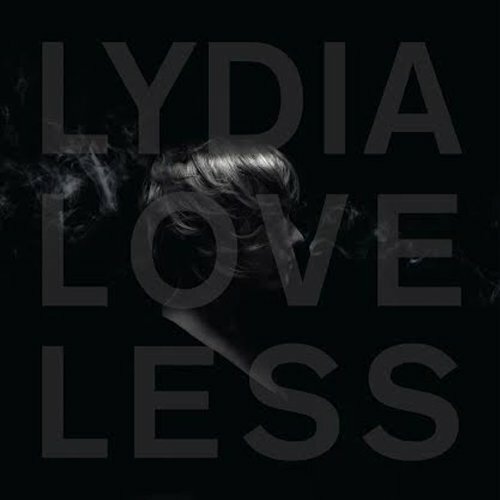 Lydia Loveless started the year with a bang on Somewhere Else , and its my pick for album of the year. Sounding like Patti Smith playing the Grand Old Opry, Loveless croons and yells with equal abandon. House pick? “Wine Lips”! We’ve had the best squash lately. This looks like a great way to enjoy it. Beautiful!!! I love stuffed squash, and your filling sounds wonderful!!! Thanks, Chef Mimi! A friend asked for an alternative to goat cheese and I thought maybe ricotta would work in that filling too. Now I can’t wait to try it again with ricotta! 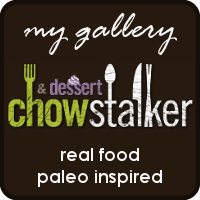 This entry was posted on June 25, 2014 by She cooks...He cleans in Side dishes and tagged baked, chevre, chimichurri, courgette, easy, gluten free, goat cheese, low-carb, paleo, patty pan, pesto, primal, quick, recipe, side dish, side dishes, stuffed squash, summer squash, sun-dried tomatoes, sundried tomatoes, yellow squash, zucchini.